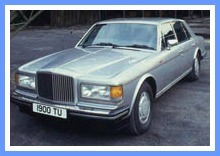 BENTLEY MULSANNE - 2010 ONWARDS NEW AIR CONDITIONING CONDENSER & DRYER PART No. 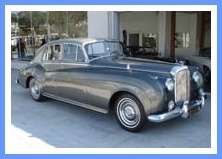 3Y0816411 ..
BENTLEY CONTINENTAL - FLYING SPUR - AUDI Q7 - AIR SUSPENSION PUMP 4MO616005F NEW AIR CONDITIONING..
1965-1980 ROLLS ROYCE SILVER SHADOW I & BENTLEY T1 BRAKE PUMP HIGH PRESSURE UNION FOR CARS FR..
SILVER SHADOW / SPIRIT / SPUR / CORNICHE & BENTLEY MULSANNE, EIGHT, TURBO R /CONTINENTAL R..
1980 - 1993 BENTLEY ALLOY WHEEL HUB CAP ASSEMBLY UR72441 ANY QUERIES PLEASE EMAIL OR CAL..
1996 - 1998 ROLLS-ROYCE SILVER SPIRIT / CORNICHE IV, BROOKLANDS LEFT HAND ENGINE COMPARTMEN..
1996 - 1998 ROLLS-ROYCE SILVER SPIRIT / CORNICHE IV, BROOKLANDS RIGHT HAND ENGINE COMPARTME..
2000 - 2001 BENTLEY ARNAGE - RED LABEL GEARBOX & TORQUE CONVERTER PART No. 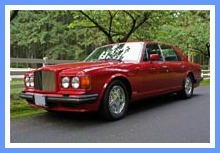 PL58980PA TAK..
2001 BENTLEY ARNAGE - RED LABEL - REAR DIFFERENTIAL - PE55393PE REAR DIFFERENTIAL PART N..
2001 BENTLEY ARNAGE RED LABEL 6.75 FRONT ROAD SPRING GOOD WORKING CONDITION PART NUMBER -&n..
2016 BENTLEY MULSANNE LEFT HAND HEADLIGHT EXCELLENT USED WORKING CONDITION AN..
BENTLEY ALLOY WHEEL HUB CAP ASSEMBLY UR27174 HUB CAP FOR A 15" ALLOY WHEEL. ANY QUERIE..
BENTLEY ARNAGE - RED LABEL RADIATOR FAN COWL UPPER EXCELLENT USED CONDITION FITS VEHICLES F..
BENTLEY ARNAGE - ROLLS-ROYCE SILVER SERAPH TRACTION CONTROL CONTROL ACTUATOR GOOD WORKING..